Let your imagination run wild when creating margaritas for your next Cinco de Mayo party or for any occasion – with no requirement that you choose on the rocks, straight up or frozen. The classic drink contains tequila, lime juice and triple sec. But you can not only substitute any number of other ingredients for the triple sec, you can also mix, match, add and subtract any of the ingredients beyond the mandatory tequila. Experiment with a jalapeno, cilantro and cucumber version, one with passion fruit and pomegranate, a blood orange type, a mango version with chile powder on the rim or a muddled blueberry and bitters variety. The list of possible types is endless. Purists agree that the margarita you make at home with fresh ingredients beats any version made with a powdered, presweetened margarita mix – plus, you'll get a bit of healthy vitamin C from real limes. The exact proportions of tequila to lime juice to triple sec may vary depending on whether you like a very boozy drink or one that works well with enchiladas and tacos. 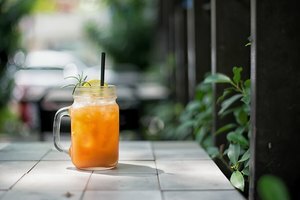 Amy Zavatto, food writer for Liquor.com, suggests a mix of 2 ounces tequila, 1 ounce of lime juice, 2 ounces of an orange liqueur like triple sec and 1/2 ounce of a sugar syrup, preferably agave. For a more sour version, eliminate some or all of the sugar syrup. Triple sec is on the sweet side for an orange-flavored liqueur. If you don't like that sort of thing, or if you want to cut out all the calories you can, you're in luck because some other orange liqueurs are less sweet. Cointreau, for example, gets its flavor from a combination of sour and sweet orange peels. Grand Marnier also has less sugar than triple sec and contains bitter orange peels, spices and vanilla. Use these liqueurs in the same proportions as you would triple sec. Bitter orange extracts and orange oils bring an intense orange flavor to a margarita, similar to that in triple sec. But along with an orange taste, you might also be able to detect metallic or artificial undertones. Extracts and oils have a bit of alcohol, but the amount is negligible. You need only a few drops of extracts to replace triple sec. 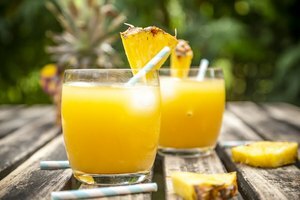 Unsweetened orange juice concentrate is another possible alternative to triple sec, but it has less intensity than the liqueur, and it changes the texture and clarity of the margarita. If you're a risk-taker, substitute a liqueur with a different flavor than orange for the triple sec. 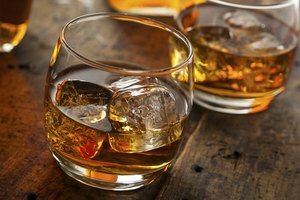 Depending on how strong you want the different flavor to be, use the same proportions as you would for triple sec, or experiment with more or less of the liqueur. Maggie Hoffman, a food writer for Serious Eats, uses 1/2 ounce of elderflower liqueur, 2 ounces of tequila and 1 ounce of lime juice for her watermelon margaritas, with about 1 1/2 cups of blended watermelon. 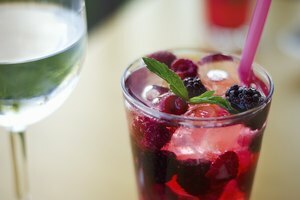 You could also try any other flavor of liqueur you can find on the shelves of your liquor store – they're available in black current, cranberry, lemon, melon, peach, raspberry and strawberry, to name a few possibilities. Can I Substitute Vodka for Tequila in a Margarita?